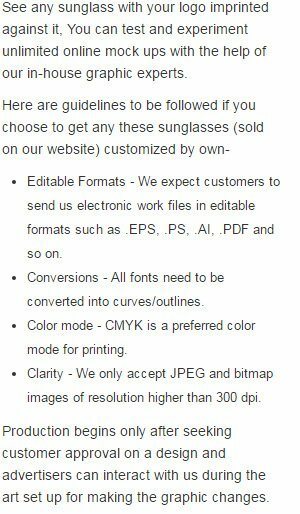 Customized sunglasses classic – orange is the great eye protection for summers. This neon sunglasses offer a fashionable protection for eyes from UV400. You can wear them to parties, offices or any other events, where you are going to brave sun for long hours. These orange sunglasses are becoming must-have in travel bags or regular bags, too. If you wish to win over customers during summers feel free to invest in this sunglass piece. This sunglass works best for restaurants, hotels, clubs, bars and lounges, etc. We offer discounts on bulk orders. Request for a quote to know about discounts that you can avail on bulk orders. Features – Adult-sized sunglasses. Offers UV400 protection. Orange plastic frame with tinted lenses.